Australia’s 2016 Defense White Paper expresses concern over “friction” in the South China Sea (SCS) arising from U.S.-Chinese naval interactions, and it worries that territorial disputes have created “uncertainty and tension.” Those statements, which show Canberra (like the rest of the states in the Indo-Pacific region) is slowly coming around to the gathering threat posed by China to freedom of the seas. Predictably, the Mandarins in Beijing harshly criticized Australia, as did reliably pro-Chinese scholars such as Sam Bateman in an article in East Asia Forum. 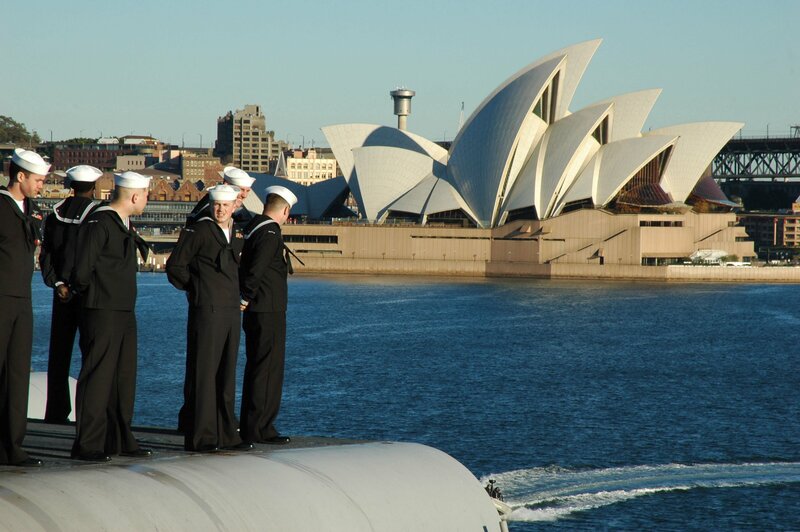 Those antagonists view Australia’s new White Paper as a move by Canberra to support U.S. naval operations in the region and a deepening of the Australia-U.S. Alliance. While the EEZ is sui generis—neither territorial seas nor high seas —the balance of rights and interests in the zone inure to the international community and not the coastal state. While it is true that coastal states enjoy limited rights in the EEZ, the term “international waters” is an accurate shorthand reference used by navies to describe all waters seaward of the territorial sea. While the coastal state has rather limited and circumscribed rights in the EEZ, the ships and aircraft of all nations enjoy all the high seas freedoms and other internationally uses of the seas, except those that interfere with narrowly prescribed coastal state rights, such as fishing. The EEZ was cut out of the high seas in order to grant coastal states a handful of limited rights, and it is correct as a matter of law to describe the zone as “international waters” for military purposes. Bateman and Beijing also say that foreign warships nations must operate with “due regard” in the EEZ for the “significant rights and duties” of coastal states. Of course user states must have “due regard” for coastal state rights in the EEZ, but those rights are strictly limited to resource exploitation, and narrower jurisdiction over protection of the marine environment, authority over offshore structures related to resource exploitation, and marine scientific research. Moreover, in exercising these limited resource-related rights, coastal states also must observe “due regard” for high seas freedoms in the EEZ, such as naval operations. Articles 58(2), 86 and 87 of UNCLOS and the negotiating history of the convention, as well as longstanding customary international law, make clear that all nations enjoy high seas freedoms of navigation and overflight, and other internationally lawful uses of the seas associated with those freedoms, in and over the EEZ. These other internationally lawful uses include the full range of foreign military activities, such as deterrence patrols, intelligence, surveillance, and reconnaissance, and air and naval exercises and operations. Ironically, China apparently still objects to U.S. military activities in its EEZ, even as the People’s Liberation Army (Navy) does the same thing in the U.S. EEZ of Hawaii and Guam. China has accused the United States of “militarizing” the SCS through freedom of navigation (FON) operations and naval exercises with partner states, while characterizing its massive military buildup in the region as limited and necessary for “self-defense.” But the U.S. rebalance, Australian submarine program, and unprecedented regional naval buildup underway from New Delhi to Tokyo is a direct consequence of China’s turn toward coercive tactics at sea and reliance on a newly-minted blue-water battle fleet to change the status quo. It is unclear why China sees a handful of periodic FON operations as provocative since the United States and other nations have operated in the region for centuries. China, on the other hand, appears bent on owning the South China Sea. States are rightly worried. Beijing’s breathtaking leaps in the quantity and quality of its naval and air capabilities, including new generation platforms and advanced weapons systems, appears designed to intimidate its neighbors and decouple the United States from its allies and regional partners. 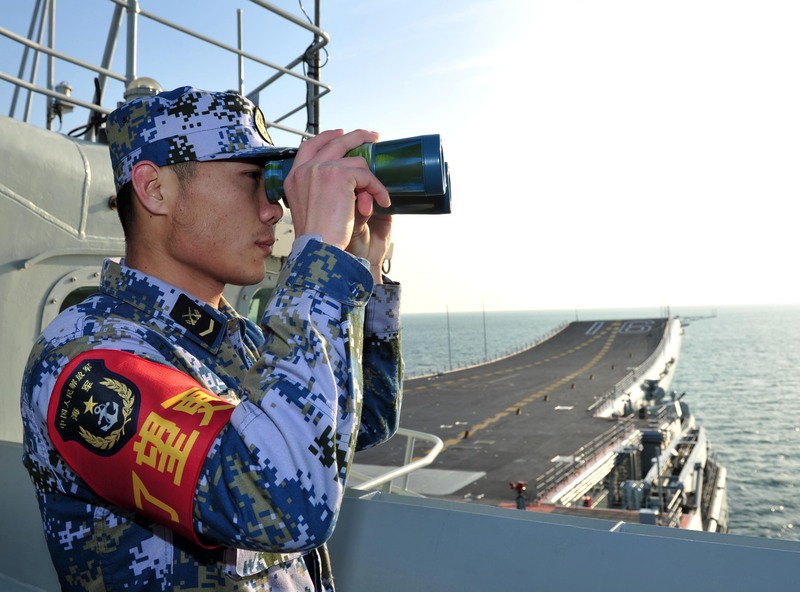 China has also enhanced its maritime law enforcement capabilities, and outfitted a distributed fleet of maritime militia to coerce its neighbors in peacetime and serve as an inexpensive force multiplier in the event of an armed conflict. China additionally has built airstrips on disputed features in the SCS capable of accommodating every military aircraft in the PLA inventory, constructed military installations on these features to control the surrounding seascape, and deployed surface-to-air missiles to the Paracel Islands in order to expand its anti-access/area denial envelope. China’s militarization of the region is destabilizing; it endangers Australia and other nations, and it violates Beijing’s commitments in the 2002 ASEAN Declaration of the Conduct of the Parties on the South China Sea. Commercial shipping transits the area freely today, but China has positioned itself to close off this critical sea line of communication (SLOC) at a whim. Since more than $5 trillion in commerce (nearly $1 trillion in U.S. trade), including more than half of the world’s oil-tanker traffic and more than fifty percent of the world’s merchant fleet by tonnage, flows through the SCS annually, China’s potential to disrupt world markets is worrisome. It has been suggested that a “bit of give and take” is required by both China and the United States in order to demilitarize the SCS. The United States, however, has already shown restraint in dealing with China’s aggressive behavior. China’s specious “territorial” claims over low-tide features, for example, are ripe for navigational challenge, but the United States has not done so. U.S. warships are legally entitled to conduct naval maneuvers and exercises, not just transit, within 12 nautical miles of these features occupied by China since low-tide elevations normally do not generate territorial sovereignty or a territorial sea. Likewise, U.S. surveillance aircraft may lawfully overfly Chinese claimed features, but they have refrained from doing so. U.S. naval aircraft have not used force in self-defense in response to China’s repeated aggressive and unsafe maneuvers by Chinese fighter jet aircraft, as they did against Libyan jets during the 1980s. The United States also could take an official position on the competing sovereignty claims in the SCS and offer greater support to the Philippines—a treaty ally—but so far, Washington has declined to do so. Beijing’s actions, on the other hand, demonstrate a China on the march. 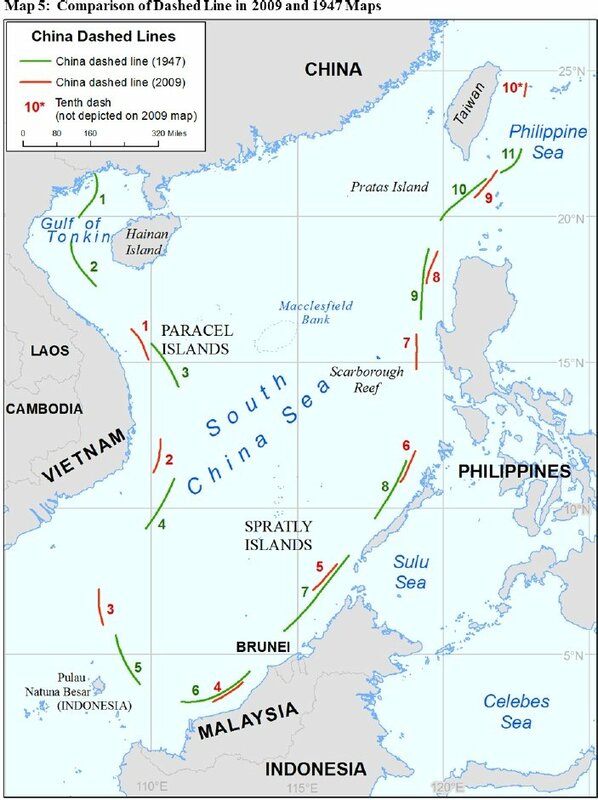 In 1978 China invaded and occupied the Paracel Islands; in 1988 it clashed with Vietnamese forces near Johnson South Reef; in 1995 it surreptitiously seized Mischief Reef from the Philippines; in 2012 it took control of Scarborough Shoal by forcing out Filipino fishing vessels; in 2013 and 2014 it conducted military exercises on James Shoal; since 2014 it has unlawfully interfered with the resupply of Filipino marines aboard the BRP Sierra Madre at Second Thomas Shoal; in 2015 it took de facto control of Jackson Atoll. These “salami tactics” have been bolstered by large-scale land reclamation projects in the Spratly Islands to change the status quo. Australia and all peace-loving states should be concerned. As a Pacific nation, a Pacific leader, and a Pacific maritime power, the United States has a national interest in maintaining peace and stability in East Asia. China’s disturbing pattern of coercion undermines the rule of law and liberal order of the oceans. To counterbalance that threat, the United States must maintain its decades-long military presence in the region, strengthen the Indo-Pacific rebalance to enhance a network of like-minded allies and partners in the region, and encourage all states—including China—to coexist peacefully in accordance with international law. James Kraska is Howard S. Levie Professor of International Law in the Stockton Center for the Study of International Law at the U.S. Naval War College. Pete Pedrozo is a non-resident fellow in the Stockton Center.